Life sure would be easier if you were a doll. You would just get to play and play all day long, without a care in the world. Also, if you’re a doll, your hair is just “done” everyday. Unless some kid takes a scissors to it, you get to wake up with flawless locks every morning! If you’re really lucky you could end up as one of those dolls with candy color hair--it’s trendy and totally cool and who wouldn't want sugar-shaded locks? 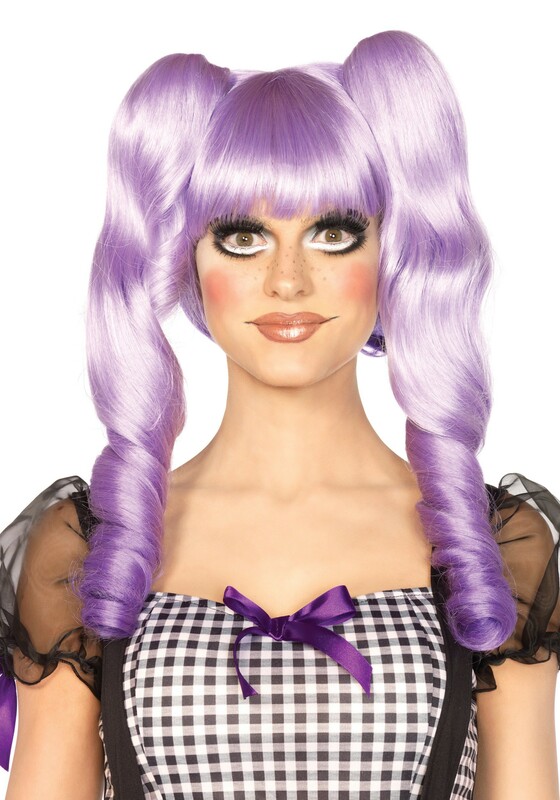 Of course, if that can’t happen and you’re merely a mortal who has to wash, straighten, and curl her own hair, then you should treat yourself to this Purple Dolly Wig this Halloween. Those curls are impeccable and your mane will be ultra shiny (not to mention purple!). Pair it with any doll costume and you'll instantly be the cutest, chicest, and happiest doll in town!